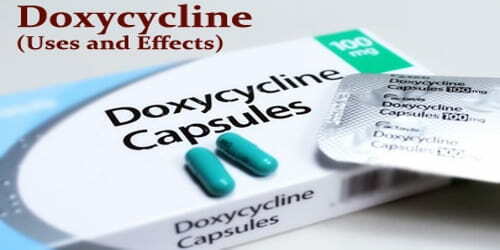 Definition: Doxycycline (oral tablet) is a prescription antibiotic medication that is used in the treatment of a number of types of infections caused by bacteria and protozoa. It’s used to treat infections such as chest infections, skin infections, rosacea, dental infections and sexually transmitted infections (STIs), as well as a lot of other rare infections. It is useful for bacterial pneumonia, acne, chlamydia infections, early Lyme disease, cholera, and syphilis. It is also useful for the treatment of malaria when used with quinine and for the prevention of malaria. Doxycycline is available on prescription. It comes as capsules. It can be used either by mouth or intravenously. Doxycycline was patented in 1957 and came into commercial use in 1967. It is on the World Health Organization’s List of Essential Medicines, the most effective and safe medicines needed in a health system. For most infections, people will start to feel better in a few days but it is important to finish the course of medicine. The most common side effects of doxycycline are headaches, feeling sick or being sick. It can also make people’s skin sensitive to the sun. Doxycycline can affect growing teeth so it’s not prescribed for children under 12 years old or given to pregnant and breastfeeding women. Do not drink alcohol while taking doxycycline. There are also some common medicines people should not mix with it. 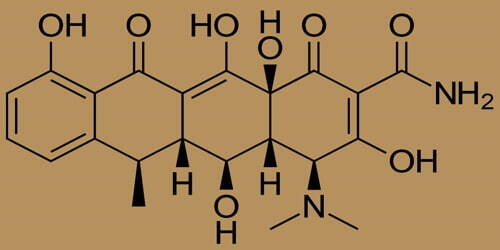 Doxycycline belongs to a class of drugs called tetracyclines. A class of drugs is a group of medications that work in a similar way. These drugs are often used to treat similar conditions. This drug works by blocking a bacterial protein from being made. It does this by binding to certain units of the protein. This stops the protein from growing and treats our infection. Doxycycline is available as a generic medicine and is generally inexpensive. 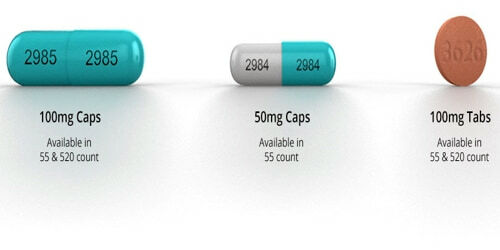 The wholesale cost in the developing world is between 0.01 and 0.04 USD per pill. In the United States 10 days of treatment is about 14 USD; however, some in 2014 were selling it for more than 3.00 to 10.00 USD per pill. Uses and Dosage of Doxycycline: Doxycycline oral tablet can interact with other medications, vitamins, or herbs you may be taking. An interaction is when a substance changes the way a drug works. This can be harmful or prevent the drug from working well. Isotretinoin. Taking isotretinoin and doxycycline together can increase people’s risk of intracranial hypertension. Specific dosing varies depending on the condition being treated; consult the doctor. 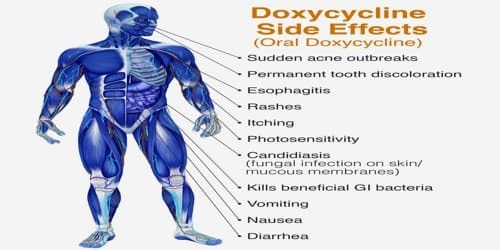 Effects of Doxycycline: Like all medicines, doxycycline can cause side effects, although not everyone gets them. Allergic reactions to doxycycline are common and occur in more than 1 in 100 people. In rare cases, doxycycline can cause a serious allergic reaction.